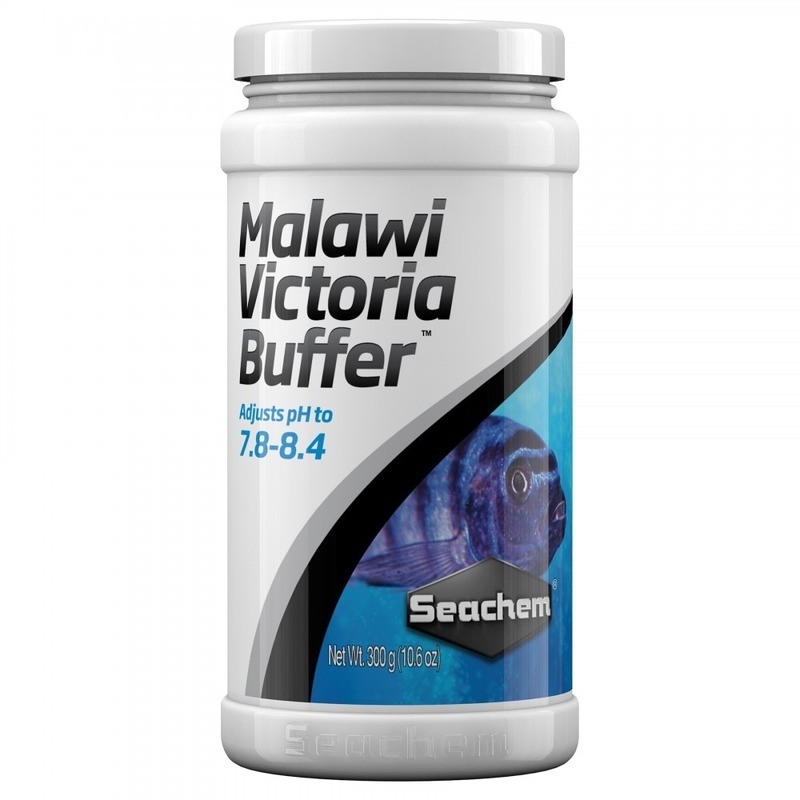 Malawi/Victoria Buffer™ is a blend of carbonate salts designed to enhance the natural environment of cichlids by increasing carbonate hardness, buffer capacity, and pH. It is formulated to maintain a pH of 7.8–8.4. For optimum replication of the Malawi/Victoria Lake environment, use with Cichlid Lake Salt™, Cichlid Trace™, and NutriDiet® Cichlid Flakes. DIRECTIONS: Use 6 g (one level teaspoon) for each 40 to 80 L (10 to 20 US gallons) of water each day until desired pH is attained and maintained. Thereafter, use as required to maintain pH, usually no more than once every two to three weeks. For precise dosing, use the Seachem Digital Spoon Scale.